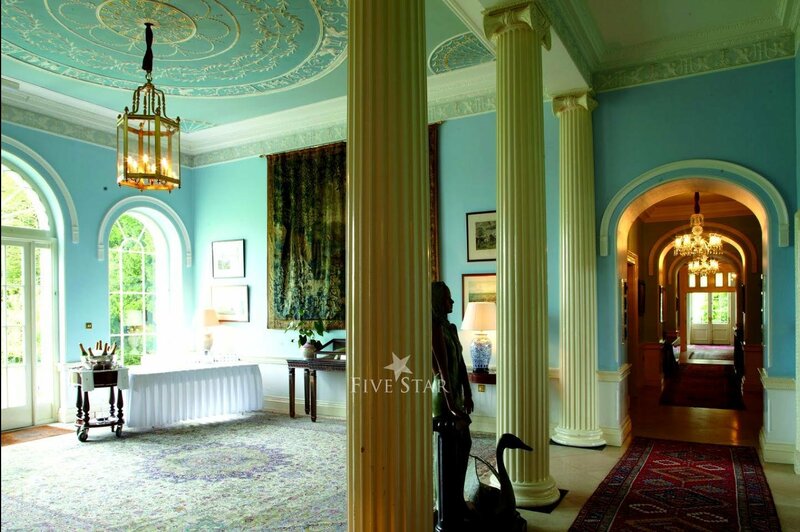 Five Star wedding venue in County Kildare, Ireland. 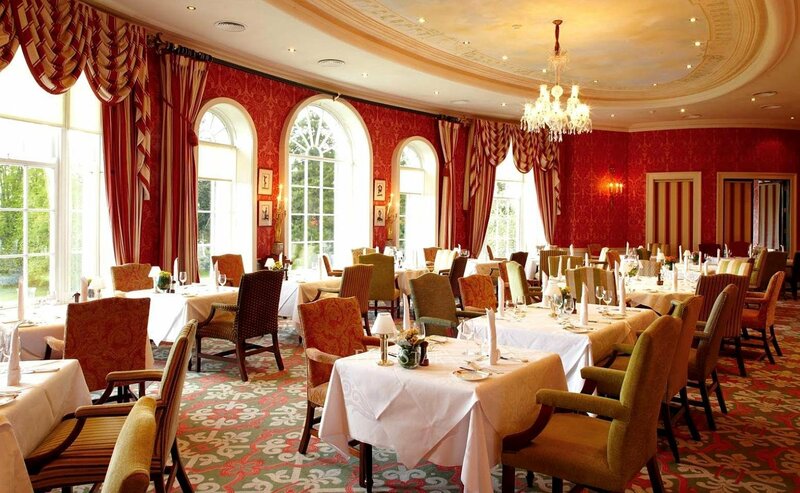 The K Club is one of the most stunning wedding venues in Ireland. 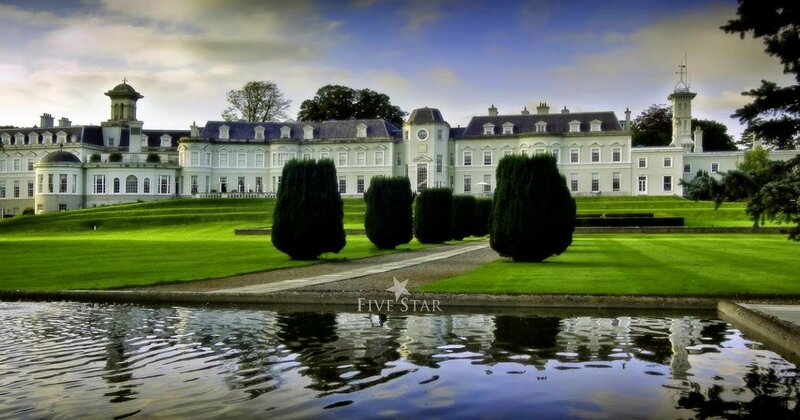 Located in Straffan, Co. Kilda..
Five Star wedding venue in County Kildare, Ireland. 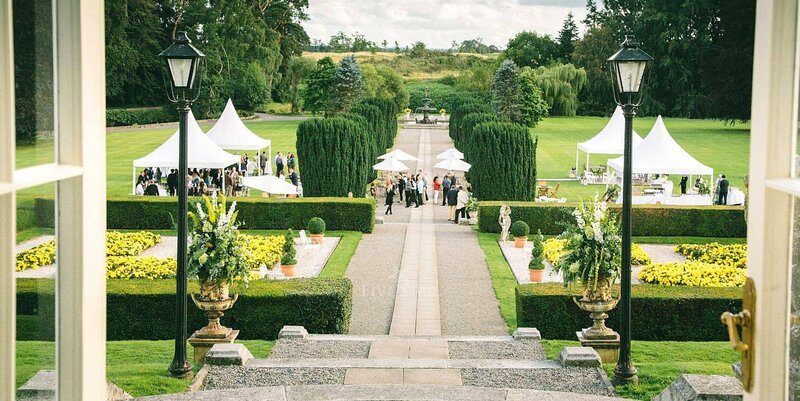 The K Club is one of the most stunning wedding venues in Ireland. 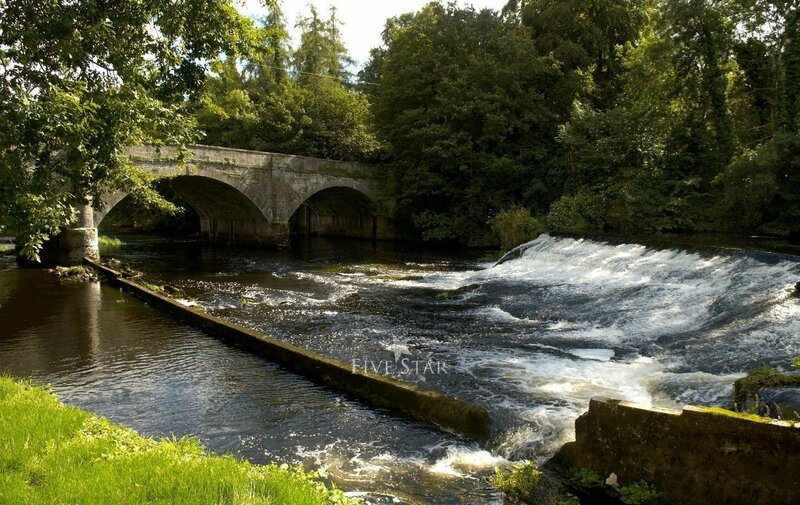 Located in Straffan, Co. Kildare on the banks of the River Liffey, this five star hotel is surrounded by 550 acres of mature woods, parkland and formal gardens. 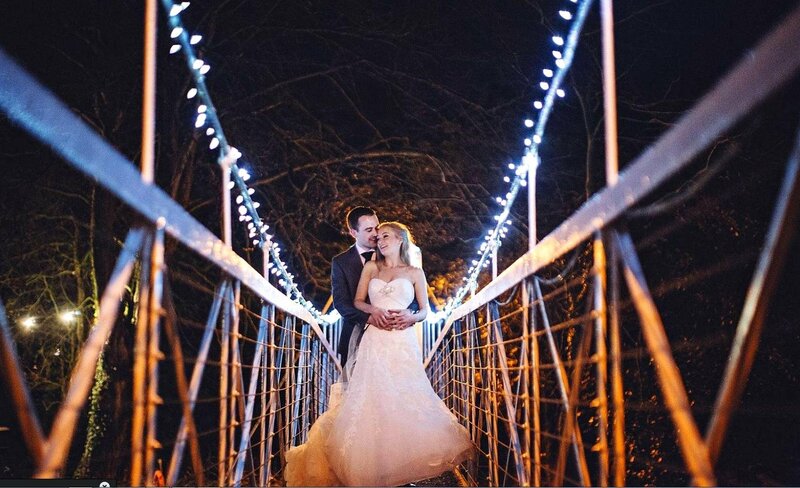 It is the ultimate luxury wedding venue for perfect wedding photographs. 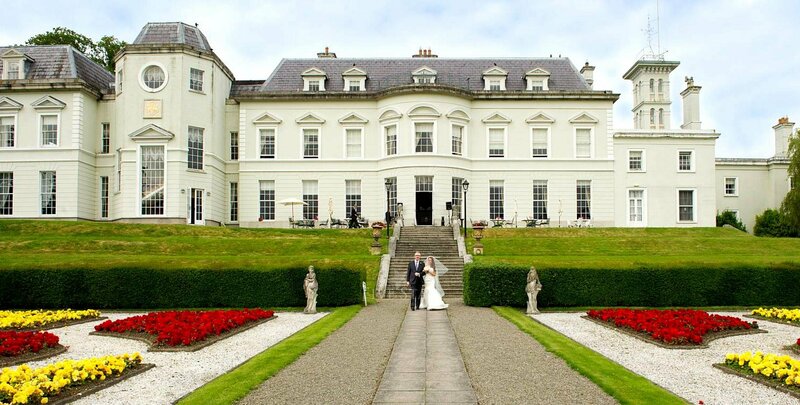 The K Club Resort caters for both large and lavish weddings and smaller intimate affairs. 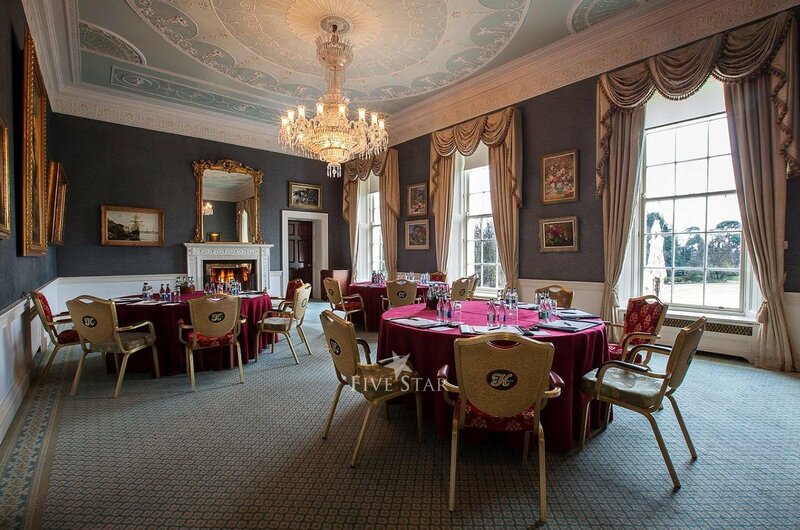 The Legacy Suite, The Arnold Palmer Room, The John Jefferson Smurfit Room and The Pantheon Suite all offer various options and can cater from just 14 wedding guests right up to parties of 350. 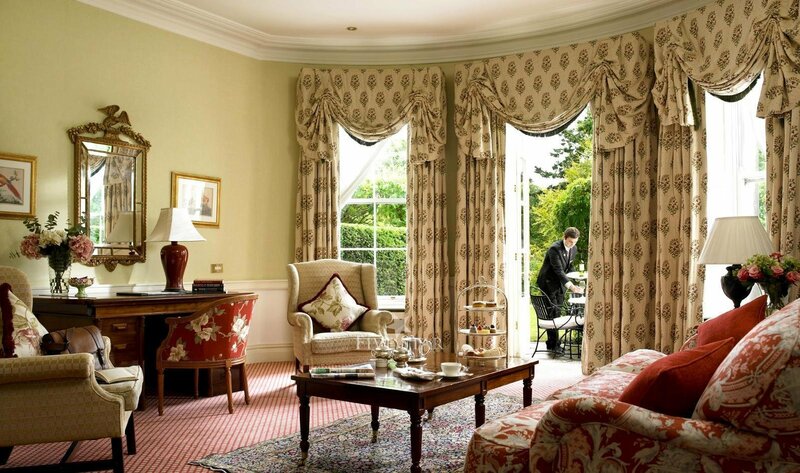 "Amazing Stay" Myself and my husband have just spent two nights at the K Club celebrating our wedding anniversary. 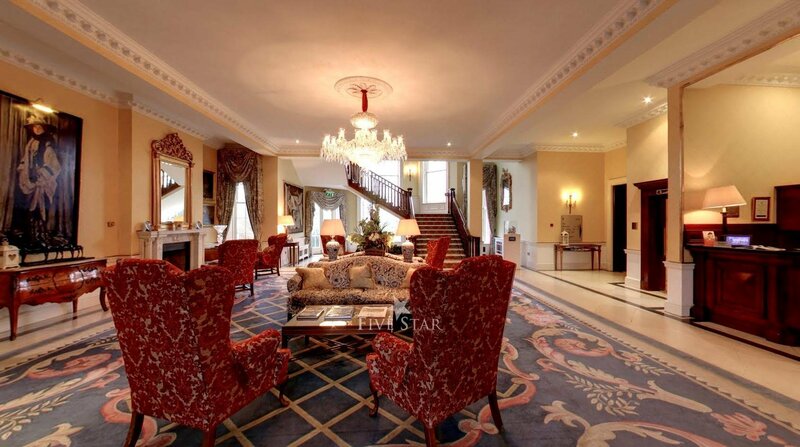 It is by far the best hotel we have stayed in in Ireland. 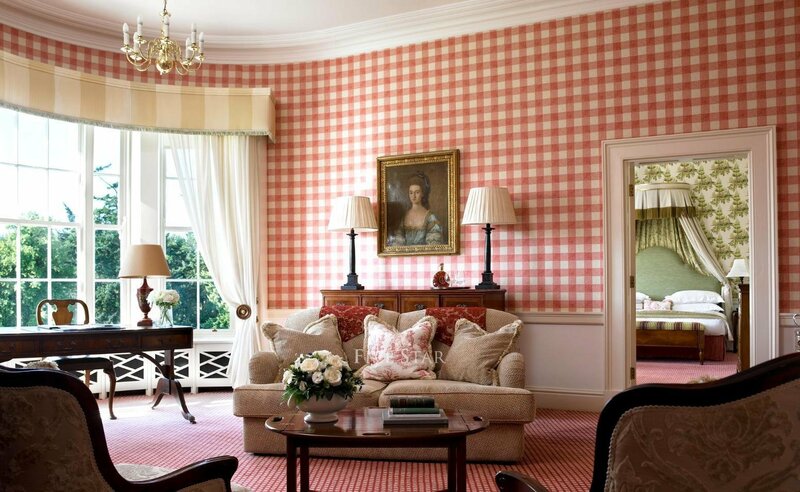 The rooms were pure luxury, there were always plenty of staff to look after you, in the bars, restaurants, reception area. We dined in two of the restaurants over the course of our stay and if I had one small criticism it would be that there is no signage from the back of the hotel to the K Thai restaurant. It probably took us a little longer to find it than it should have. The food in both restaurants was AMAZING. I must mention our waitress Danielle, she was brilliant We also used the spa and both had a massage and facial. 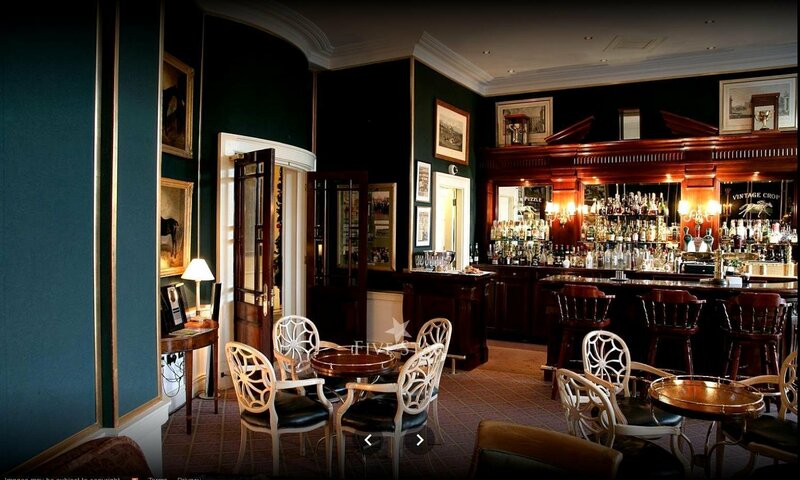 Excellent surroundings and great staff. I know this hotel and its facilities are perhaps more expensive than your everyday hotel but this is not an everyday hotel, this is something special and worth every cent. 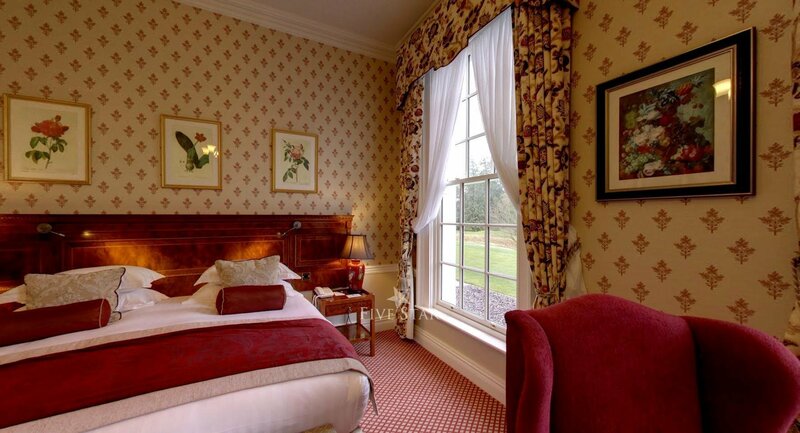 "Beautiful hotel and amazing staff" We stayed in The K Club for one night in April whilst attending a wedding. We arrived at 12.30pm and were allowed to check in straight away, even though official check in time isn't until 3pm. We really appreciated this as it meant that we could freshen up and get ready for the wedding ceremony in our room after having driven two hours to get there. The staff were extremely friendly and accommodating on check in and really made us feel welcome. After the wedding ceremony in the local church we returned to the hotel and were once again greeted by extremely friendly staff. The wedding co-ordinator, Elena, showed us to a room where she served us prosecco and bottles of beer. 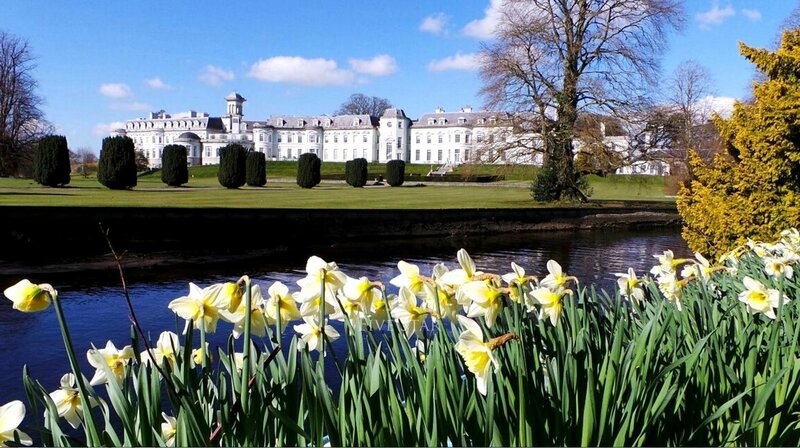 It was a beautiful day so we sat outside on the veranda and enjoyed the stunning views of the grounds. 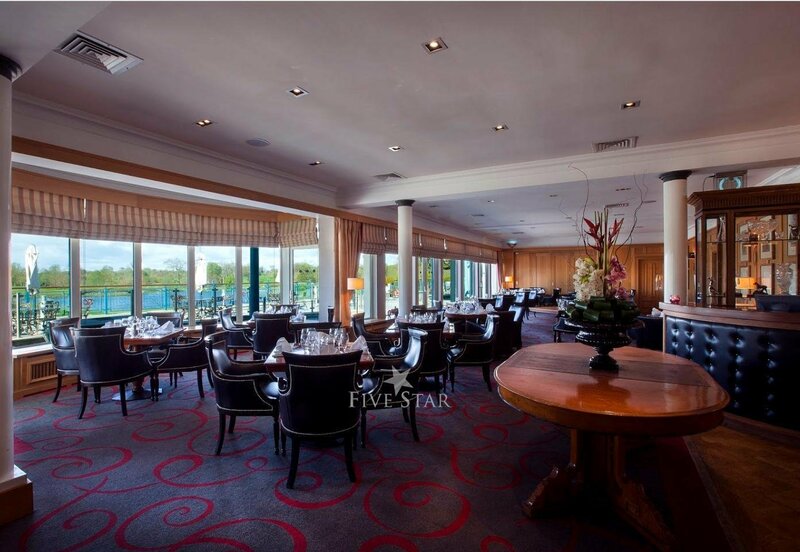 The staff were very attentive and were constantly refreshing our drinks and serving canapés without us having to ask. The meal at the wedding reception was in another part of the hotel so we were all driven there by courtesy buses (except for a few guests who shall remain nameless and commandeered a golf buggy to get there! :-) ). Once again, staff were amazing. Our driver was so friendly and we had great craic with him. The food was out of this world and once again staff were extremely attentive and kept topping up everyone's glasses. Special mention must go to our server, Ciara Hickey, who was just wonderful and really did go out of her way to look after us! At the end of the evening the courtesy bus took us back up to the main hotel. We stayed in room 63 and it was lovely. Huge bathroom with a bath, twin sinks and a shower. The bed was the comfiest that I have ever slept in. Slippers and robes were also provided. The breakfast was buffet style and you could choose from continental or a cooked breakfast, or combine the two and have a bit of everything. Eggs were scrambled or you could order them cooked fresh to your taste (poached or fried). Again, service was fantastic. All in all this is a fantastic hotel and we thoroughly enjoyed our stay. 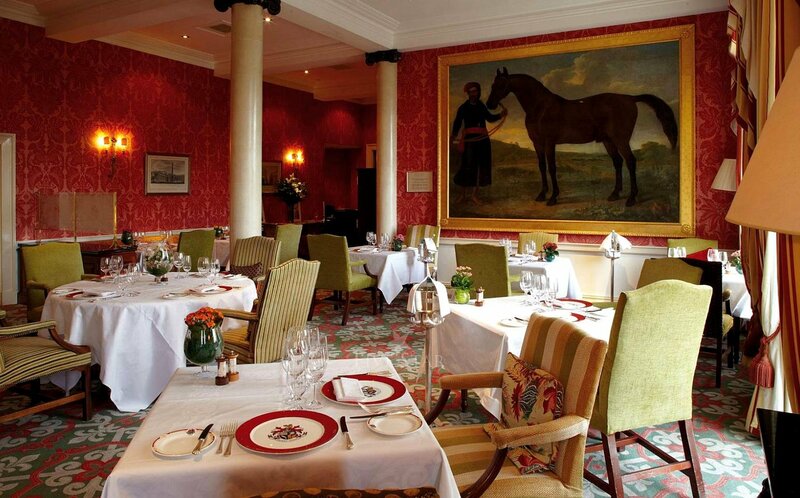 Service was exceptional and I have to say that the staff really did impress us. "Stunning" The best hotel I have ever stayed at. My wife and I, spent 4 days here for our 42nd wedding anniversary on Valentines Day. The staff where all fantastic, nothing was to much bother. The hotel and grounds are beautiful. We will definitely be going back. "Wonderful getaway to the country" My wife and I stayed here for a weekend while in Ireland for a Wedding nearby. Overall it was a wonderful experience and we were made feel so welcome were well looked after. The concierge buys were most friendly and helpful with our bags getting our car and making sure we knew where everything was. The hotel is excellent and the room we had on the first floor in the main building was very big with a nice view over the gold course. The ceiling heights are magnificent and the bathroom was huge too. We used the gym, Jacuzzi & pool and although a few minute walk from our room, it had all the towels and robes etc you needed. There is a nice outdoor spa pool too that was nice in the slight rain. The breakfast buffet was really excellent and there is a large choice including extras ordered from the staff. A highlight was the fresh honey tray dripping from honeycomb that was delicious. Overall we had a wonderful weekend here and would definitely go back to explore the 550 acres of grounds and use the bikes they have to do so! "Wedding" After staying here a few times and being very much impressed, my partner and I had our wedding in this beautiful resort. Everything from the initial contact through to wedding menu tasting and planning our day was top class. Alina (who is the planner) was excellent and although we didn't meet face to face much due to distance, had everything planned exactly how we wished. Ger (food and beverage manager) also ensured our guests were all looked after and never went without food or drink. From the check in two days before our big day, to the check out, we were made to feel like the only guests in the resort which is what you want for your big day. My family were also made to feel the same and the wedding team ensured they all had rooms together with outdoor access as well as providing my partner and I with excellent rooms for the duration of our stay. We will continue to stay in our favourite place and couldn't not recommend this place enough for a getaway or special event. "Outstanding" My wife and I were married in The K Club in April 2017. We had a wonderful day. 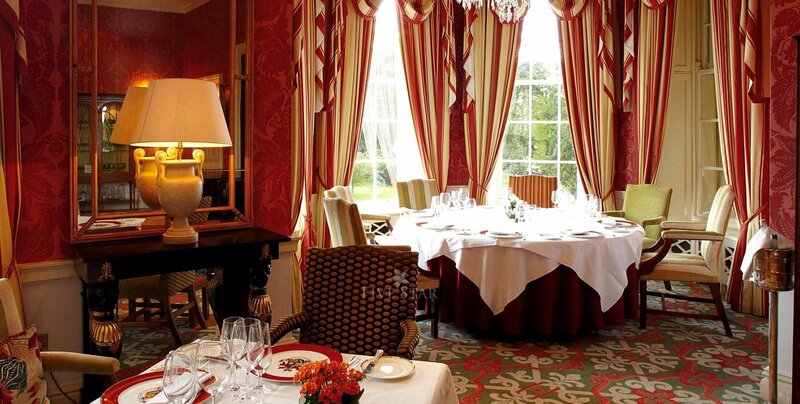 We had viewed a number of hotels for our wedding prior to visiting the K Club and we only called in on a whim on the way back from a trip to Dublin. 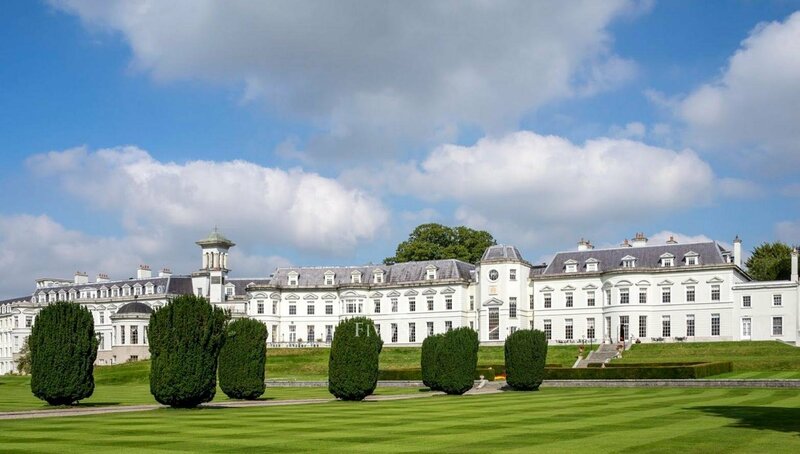 We knew straight away that The K Club was where we wanted to have our big day. The hotel itself and the grounds are very beautiful and very romantic. The staff are the hotel's best asset though. Everyone we came across was excellent. It is clear that they really know their jobs and take pride in their work. 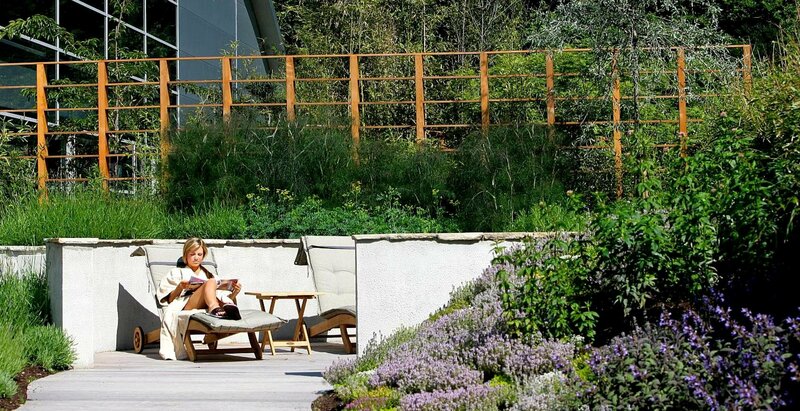 They are all very approachable and personable, which isn’t always the case in a 5 star hotel. Nothing was too much trouble for them and they helped everything go along very smoothly. We also stayed over prior to the wedding. 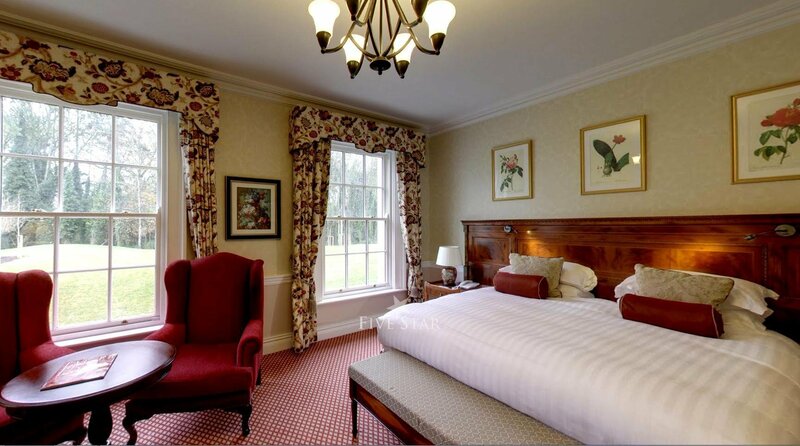 All the facilities are excellent, the rooms are very comfortable and high spec. The food is also top class. 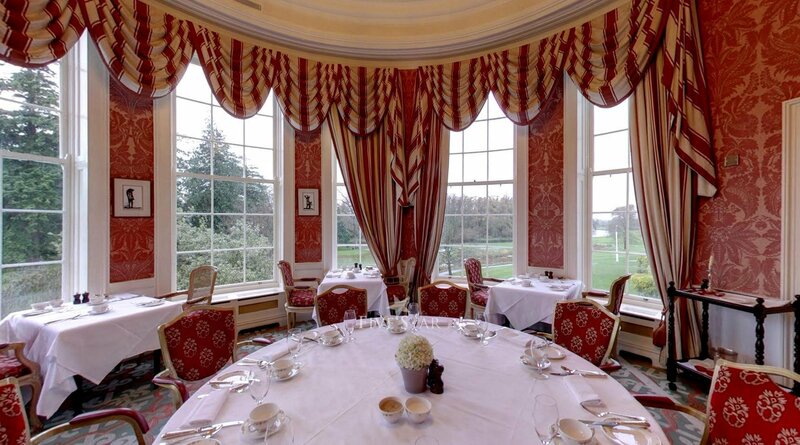 Beautiful meals in a wonderful setting. I can't fault it. If I had the money, we'd be there the whole time. 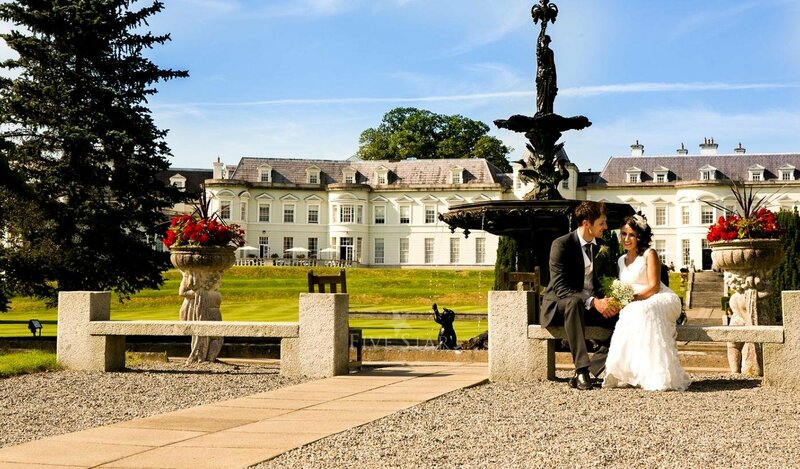 "A superbly sublime setting for a supremely spectacular wedding" The K Club is old school Irish elegance set in spectacular grounds surrounded by immaculately groomed PGA courses. The staff were welcoming, unobtrusive and generally on hand to help out with anything (oh and they had a great sense of humour to boot, particularly with regard to some of the younger guests Christmas bauble drinking games)! I stayed there with my wife and three children as we were lucky enough to be invited to probably the best wedding we have ever attended (bar ours of course ☺). I have to add at this point that the bride and groom looked simply spectacular! 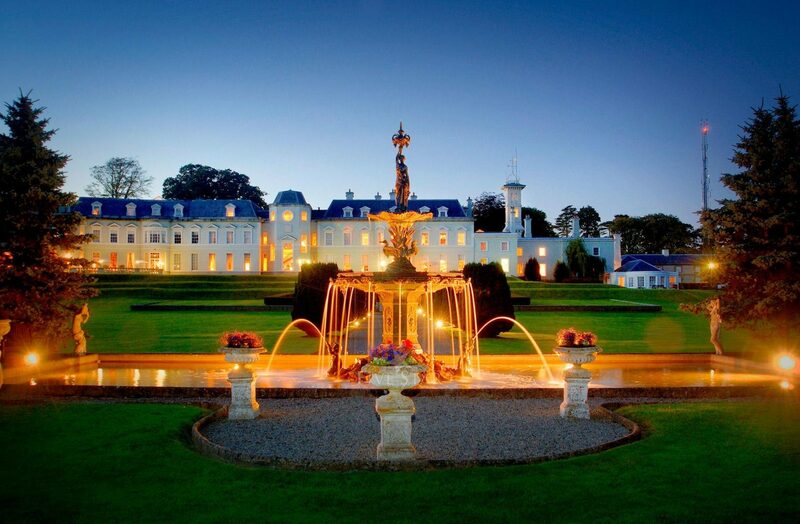 Having stayed for a couple of very days, I can honestly think of no finer setting for a wedding in Ireland than the K club. The place is a relaxing country hotel with full facilities for all (pool, sauna, kids club, late night bars; all the really important stuff). We stayed in the new wing with two large and well-appointed adjoining rooms; if I could have stolen the bed I would have and if my son could have stolen the pancake-making machine at breakfast he would have as well. Speaking of breakfast, try the eggs benedict; they are divine. Apart from the wedding, they had their annual New Years Eve ball on as well and all persons from the bride and groom, the guests, the ball celebrants and even some attending Royalty all seemed to have a glamorous end to 2016 and a great start to 2017. 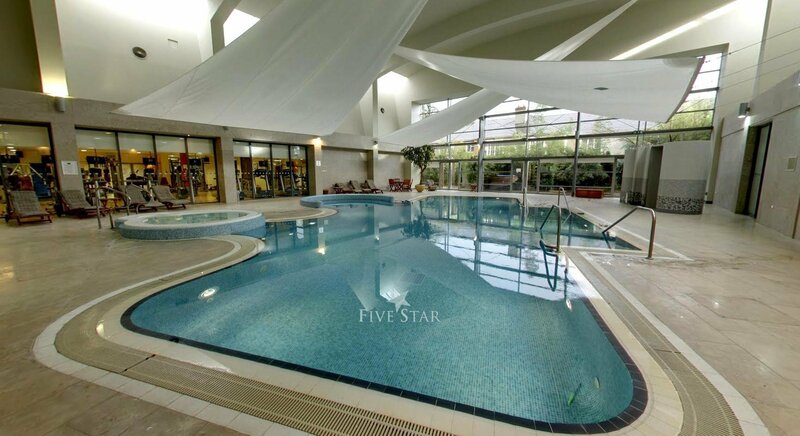 I simply can’t wait for the next opportunity to go back and relax at the K Club for a few days.